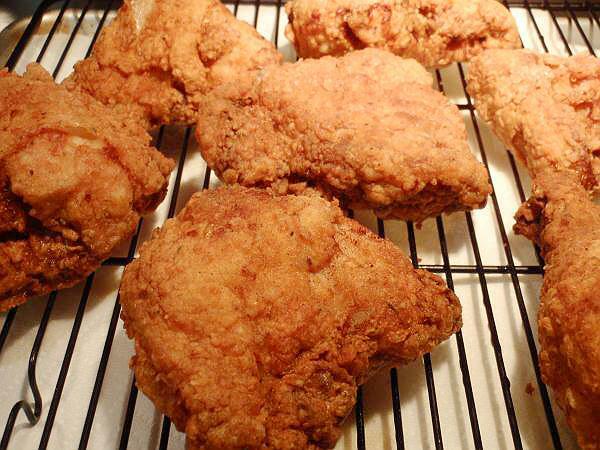 This southern fried chicken recipe is a family favorite. 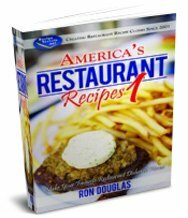 It can either be cooked in a deep fryer or pan-fried. Whichever way you choose, you won't be disappointed. 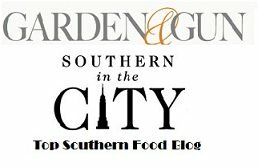 You don't have to soak the chicken in the buttermilk overnight but it is the key to great southern fried chicken recipe. It adds so much flavor and makes the chicken extremely moist and tender. 1 Whole Fryer, cut-up (I like to cut each chicken breast in half so that they will cook all the way through without burning. 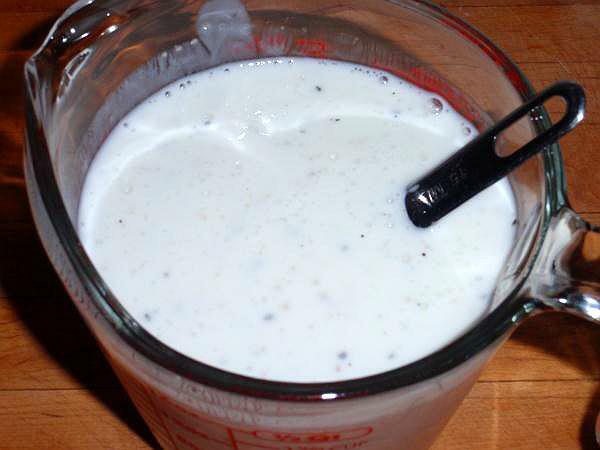 Combine the buttermilk, 2 Tablespoons salt and the pepper. 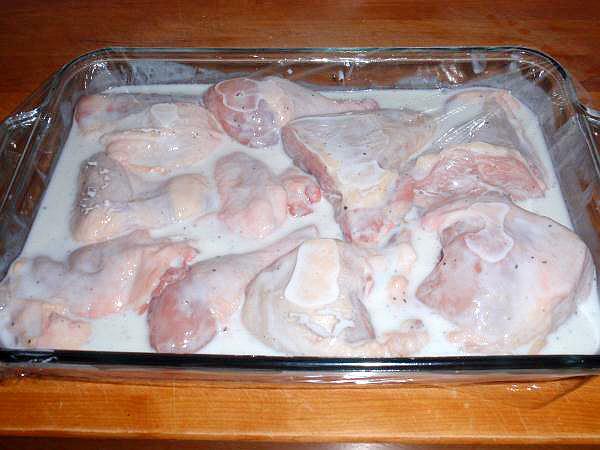 Place the chicken parts in a glass baking dish. Pour the buttermilk mixture over the chicken. Turn to make sure that each piece of chicken is thoroughly coated. Cover with plastic wrap and refrigerate for at least a couple of hours but preferably overnight. After the chicken has finished marinating, pour the chicken and buttermilk brine into a colander to drain off the buttermilk. Allow to sit for about 15-20 minutes to drain and warm up a bit. 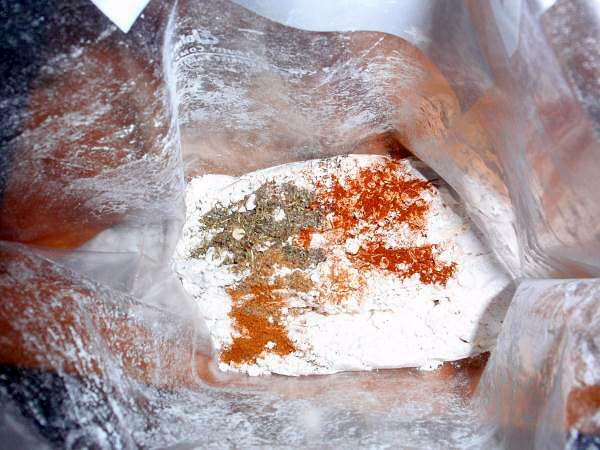 In a large (gallon size) plastic Ziploc bag, combine all of the coating ingredients (flour, salt, accent, pepper, cayenne pepper, sage, paprika, coriander, thyme and garlic powder). 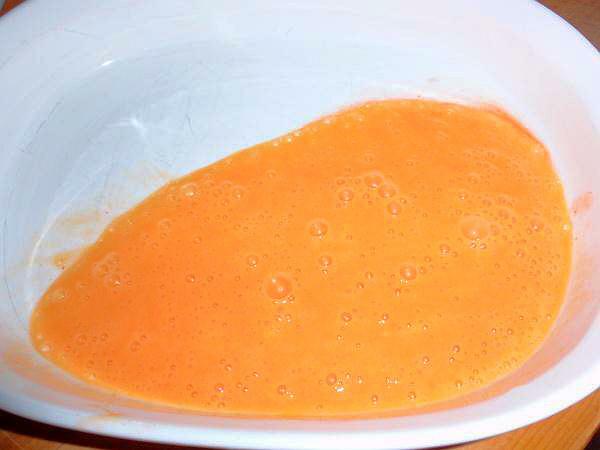 In a shallow dish, mix together the eggs and the hot sauce, set aside. 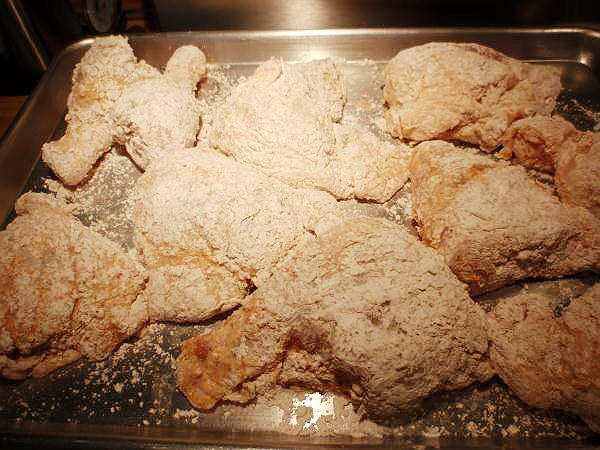 Drop the chicken pieces, one or two pieces at a time, directly into the flour mixture (don't put it in the egg mixture just yet, that will come in a minute). Shake off excess and place on a baking sheet or plate until all pieces have been coated with flour. 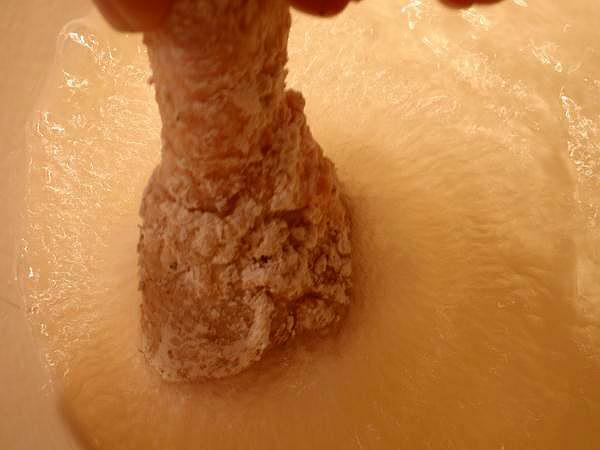 Next, dip each piece of flour coated chicken into the egg mixture. 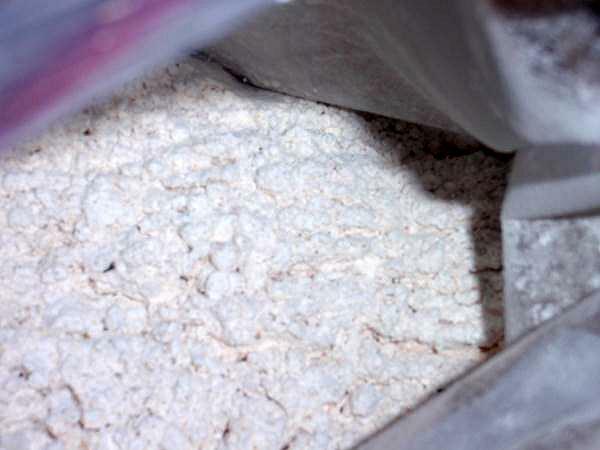 Return to the flour mixture and shake ( no more than 2-3 pieces at a time) to coat well. 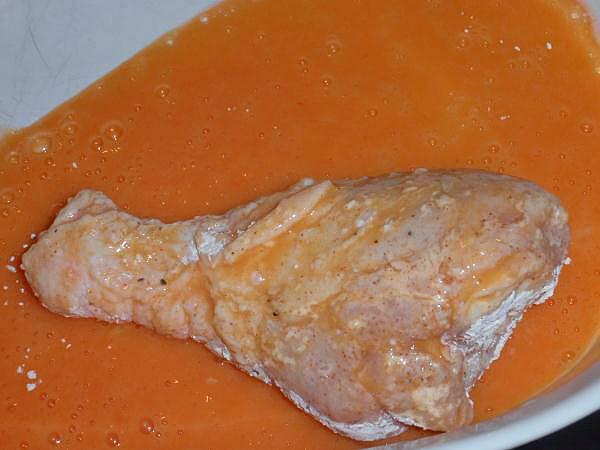 Allow to sit on a plate or shallow baking dish for about 15 minutes so that the "crust" will stick to the chicken. * If using an electric deep fryer, follow the manufacturers' directions. 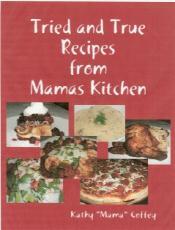 * If using a dutch oven, fill with 6 to 12 cups but no more than 2/3 full of peanut oil. * If pan-frying, you'll need a heavy bottom skillet (I recommend cast iron) with about an inch of oil. Slowly drop the chicken in the HOT oil starting with the dark meat first. Don't get in a big hurry putting in the chicken because you don't want to lower the temperature of the oil too quickly as this will cause your chicken to soak up the oil and be greasy (not a good thing). 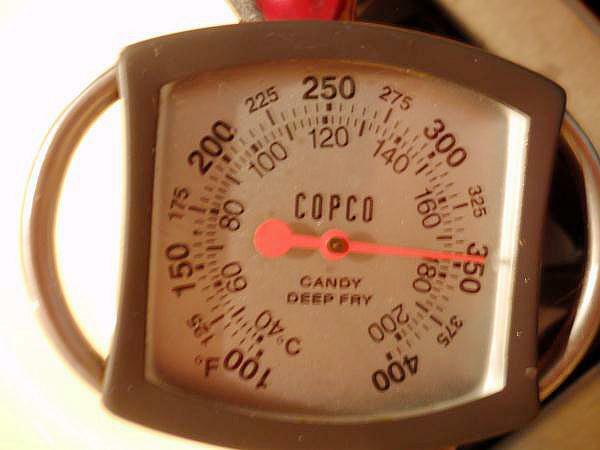 The temperature of the oil is going to drop to about 300° or so once you put your chicken in. This is the temperature that you want to try to maintain while the chicken cooks. 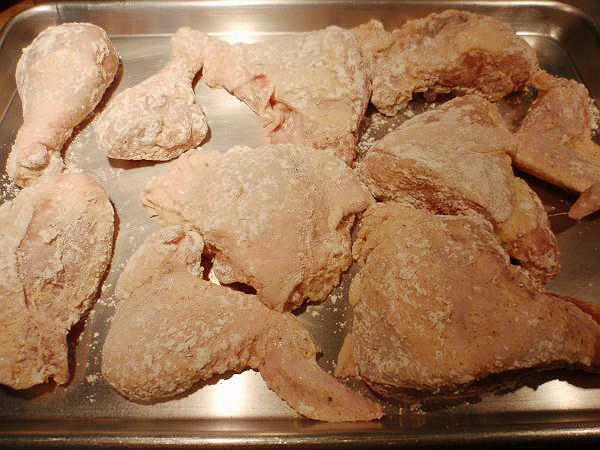 Fry 3 to 4 pieces of the chicken at a time for 12 to 15 minutes, or until each one is golden brown. 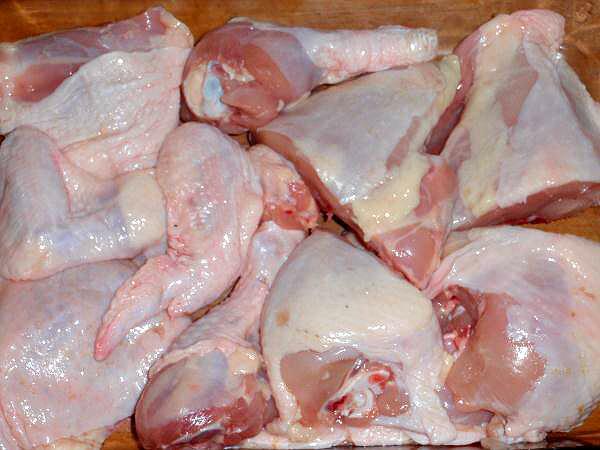 Be sure to turn the chicken halfway through the cooking time so that each piece cooks evenly. 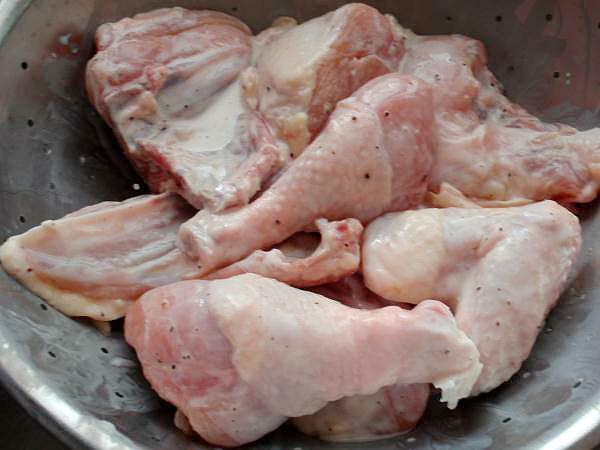 Remove the chicken to a rack, paper towels or brown paper bags to drain for about 5 minutes. Put the finished chicken onto a shallow baking sheet and put in a preheated 225°F oven to keep warm while the other pieces are frying. 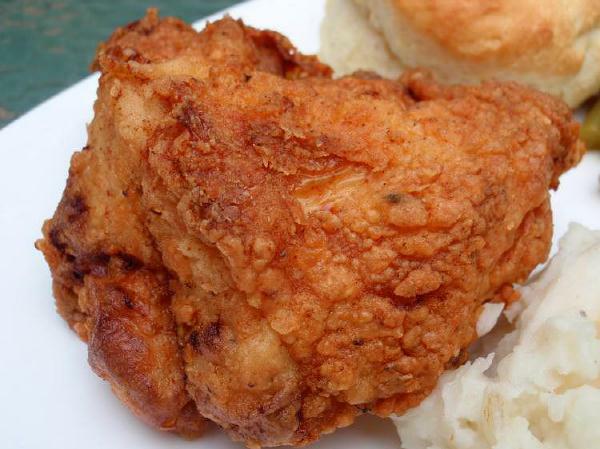 I hope you enjoy this family favorite fried chicken recipe!